A vehicular accident can be a harrowing and stressful experience. While the most important thing is making sure you and anyone else involved are okay, the aftermath can be difficult to deal with. From dealing with damages to determining who’s at fault, there’s a lot to take on. 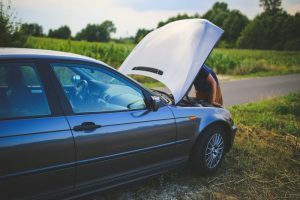 Here are four tips for making the most of an automotive accident. You need to get your insurance provider involved as soon as possible following an automotive accident. Regardless of who was at fault, both parties need their insurance companies to know exactly what happened. Make sure that you have up-to-date insurance information and that you always have proof of insurance on hand when driving your car. It’s your obligation to get this done, and you don’t want to delay it. You also need to make sure to exchange insurance information with the other driver. An automotive accident can cause damage to your vehicle, even if it’s not readily apparent. Just because your vehicle looks fine to drive doesn’t necessarily mean it is fine to drive. Bring in for inspection at a trusted mechanic shop. There could be damage that you wouldn’t have realized but could’ve had a devastating effect on your driving capabilities had it not been caught. When it comes to your vehicle, you can never be too careful. The impact of an accident can be disorienting and physically harmful. While you might think to only call for medical attention if there’s obvious trauma like intense bleeding or broken limbs, it’s a good idea to call regardless, particularly if it was a rather impactful crash. You don’t have to necessarily rush an ambulance to the scene of an accident. You can find transportation to a nearby hospital or doctor’s office and have to inspect you to see what sort of condition you’re in. If you were not at fault in an accident, it’s not fair for you to have to pay for it. When it’s been determined that you’re blameless, you should seek compensation from the other party. Hire an attorney who can help you through dealing with these matters and work to find the compensation you’re entitled to. We hope this has given you a good idea of how to make the most of an automotive accident. While this is an experience we hope you never have to go through, it’s good to know exactly what to do should it occur. A Brief Insight into The MacBook Pro – Knowing the Essentials Will Help You Make the Best Selection!